Broadband, Fibre Optic, Wireless, Satellite or mobile broadband etc. If you want to learn more about the internet service providers check a guide to ISPs here. In this article, you will be finding the top 5 internet service providers. AT&T Company provides internet service to 22 states. Along with the DSL broadband, the company also provides fiber and fixed wireless internet services. Plans of the company start from $30/month and offer the speed up to 50 Mbps. More data and speed can be purchased separately. Verizon offers services in 10 states and is the largest fiber optic provider in the United States. This was the first company to offer fiber in the US. Verizon’s plans start from $64.99/month and offer a speed of up to 100 Mbps. Fios was started in the year 2005 and expanded in 2010. They offer a discount on plans for the first year. This company provides the access to the satellite internet to Europe and the United States. This satellite system is available in all 50 states so for the rural areas, it is a good option. HughesNet plans starts from $49.99 per month. HughesNet requires a contract of 2 years and the rates during this period are lower as compared to the regular rates. They offer 25 Mbps of speed at $69.99 which in promo period is $59.99. Comcast Xfinity provides the cable internet services to the 40 states. By coverage area, this is the largest company to provide cable internet service in the United States. They offer a speed of up to 2 gigabits per second. In the promo offer, you can get the 10 Mbps of speed at a rate of $29.99/month. More data can be purchased differently. This company was introduced in 2012 by ViaSat satellite communications. 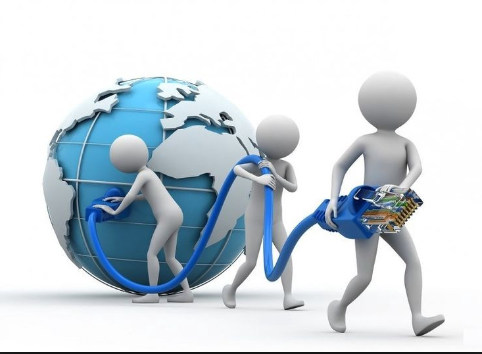 Exede internet offers a speed of up to 25 Mbps in selected areas. Like HughesNet, this company also requires a contract of 2 years. They offer a promo rate for 3 years. Exede provides a speed of up to 12 Mbps in a plan of $49.99 per month. So, these are the best internet service provider that offers high speed internet services. Hope you enjoyed reading this article. Don't forget to share it with your social media friends on Facebook, Twitter and Linkedin.